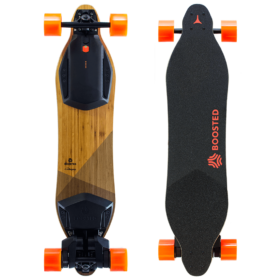 The Boosted Dual+ electric longboard is generally the board most people think of when you talk of electric longboards. They were one of the first companies to release a board that offered quality and style. The Dual+ has two belt-driven rear wheels powered by a 2,000 watt battery. It can reach a top speed of 22mph and can climb hills with a grade of up to 25%. The standard battery it comes with can get you as far as 7 miles on a single charge and you can purchase the extended battery for an extra $199 which will get you up to 12 miles. 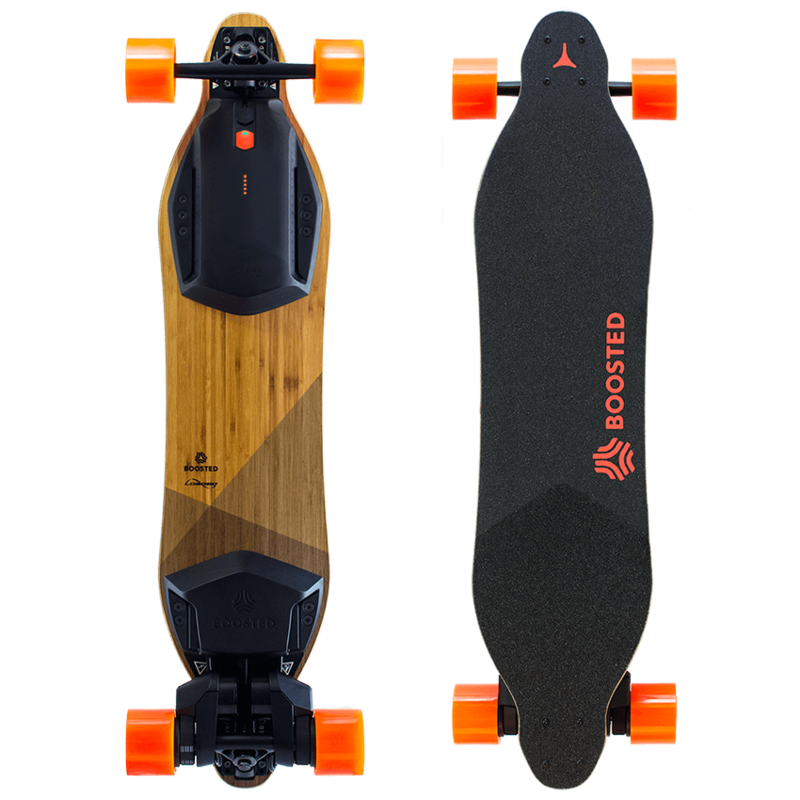 The Boosted Dual+ electric longboard is definitely up there as one of the best boards you can buy at the moment.